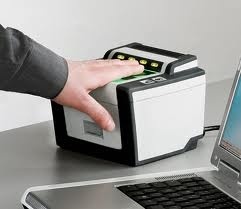 Fingerprint Background Checks – Level 2 – is the term used by the Florida Department of Law Enforcement (FDLE) and Florida Statute 435.04 to identify a second level form of background c hecks. Level 2 background checks differ from Level I due to the requirement of fingerprinting that is maintained at the Florida Department of Law Enforcement and processes through the Federal Bureau of Investigation. Verify Network offers both Level 1 and Level 2 Background Checks. Our Level 1 pre-employment and existing employment checks are extensive. We offer a variety of screenings that is completely FCRA federal and state compliant. Level 2 background processing uses state-of-the-art Live-scan systems to quickly gather fingerprints data and get the information directly to the FDLE for processing. Call for pricing and specials. We also provide mobile services for a small fee.